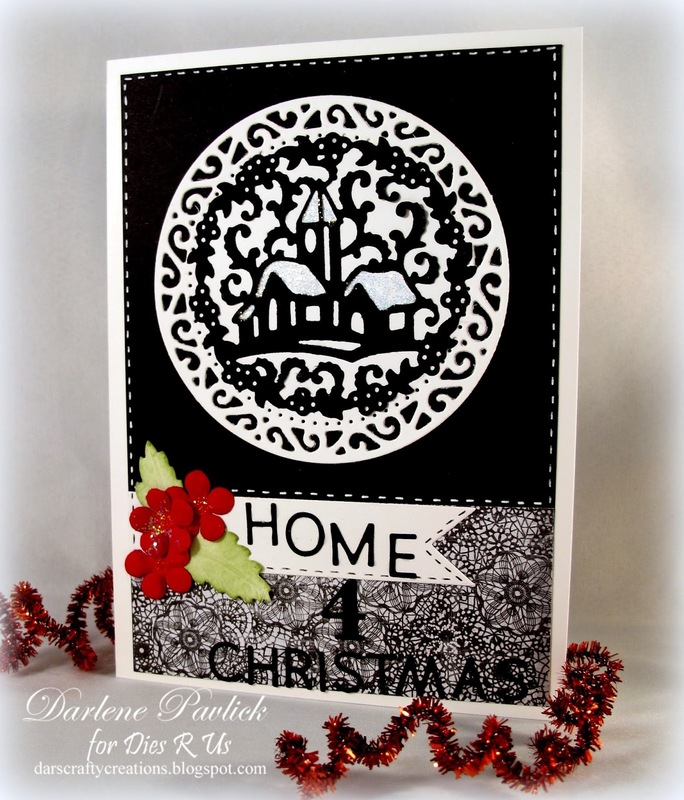 Darlene with you today sharing a holiday card! Christmas is really not THAT far away and I typically send out around 60 cards so there is no time like the present to get them started! 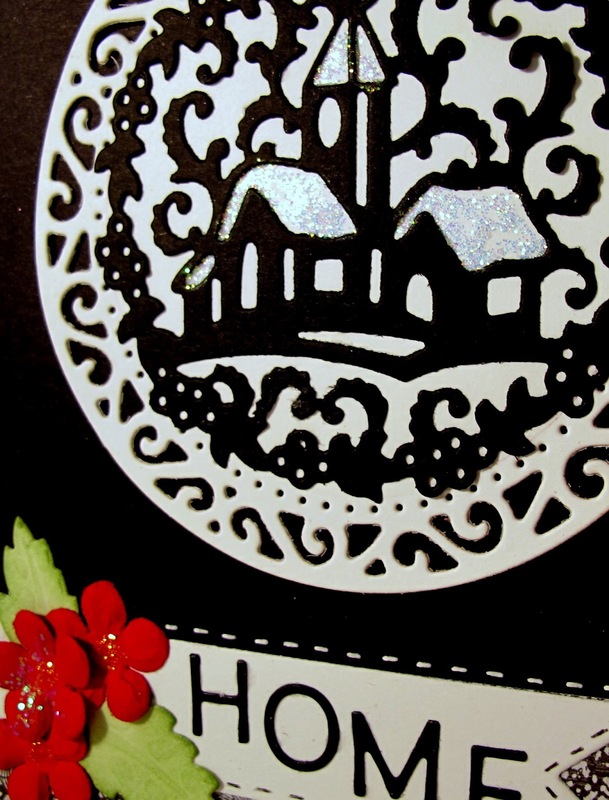 You'll want to be sure to pop over to our Dies R Us Store for all your holiday dies. There are SO MANY wonderful dies available through 40+ companies and I have no doubt you will find exactly what YOU need to create your holiday cards. Holiday cards are always so pretty with a touch of sparkle so I've added diamond Stickles to the building roofs as well as the flower centers. Remember you can stop by this inspiration blog every weekday Monday through Friday for new card samples using dies carried at the Dies R Us store. We also have a challenge blog with a new challenge theme posted on the 1st and 15th of each month. Won't you come join in our fun? Who knows, YOU might be our next lucky winner of a gift voucher to the Dies R Us Store! Wouldn't that be awesome ... just in time for holiday shopping! 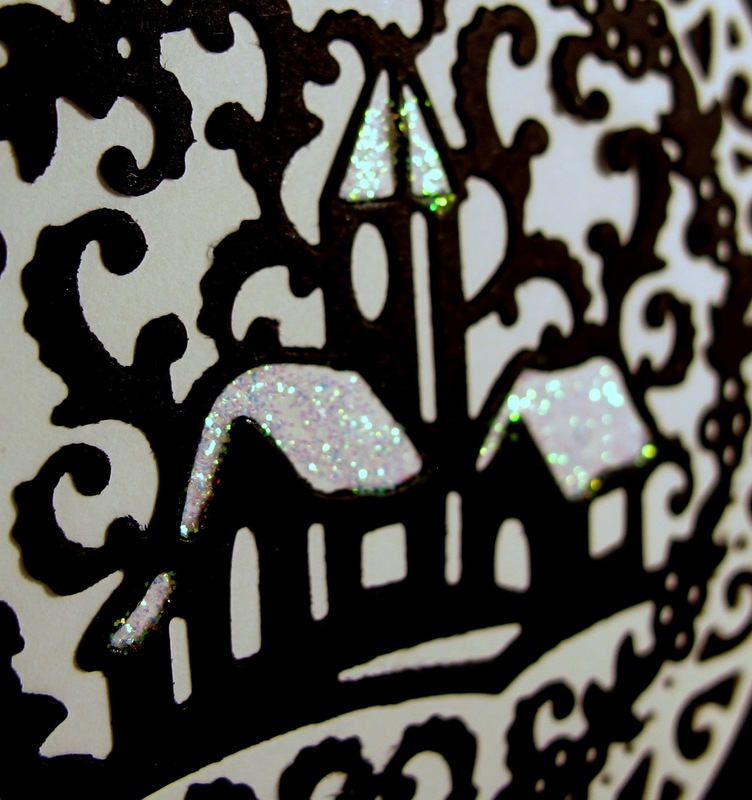 Sherri will be with you tomorrow and I will be back again on Friday with another card creation for your viewing pleasure!